Wooow...now Samsung Malaysia Electonics bring you the March More promotion which offers saving up to RM3,000 and free Soundbars on selected Smart TV Models! In the past, purchasing a good TV would mean spending a huge sum. But not anymore as you can now get better quality TVs for the same amount you would have spent years ago.Over the years, thepicture quality of Samsung TVshave evolved from standard definition to ultra-high definition with the ability to produce 64 times morecolours and is now 30 percent brighter. You can now experience cinematic picture quality all in the comfort of your own home. 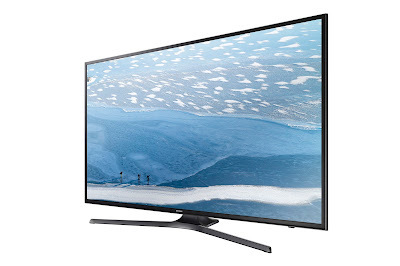 The Samsung Smart TVs also allows you access to unlimited TV entertainment at your fingertips as TVs have upgraded from free-to-air and pay TV to a vast variety of content streaming of today using the Samsung Smart Hub. 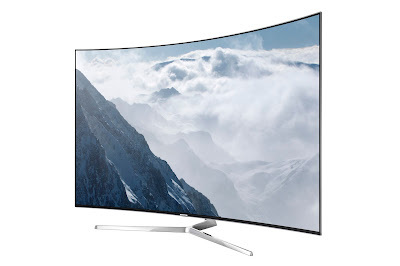 And to top it all, multiple remote controls cluttering your living room space is now a thing of the past with the Samsung one remote which consolidates all devices to one single remote. You no longer need to struggle to find that one right remote for your TV!So what are you waiting for? Running from 1st March 2017 – 30th April 2017, Samsung’s ‘March More’ campaign offers great value on selected smart TV models with superior picture quality, unlimited Smart TV content and multi-functional one remote control. 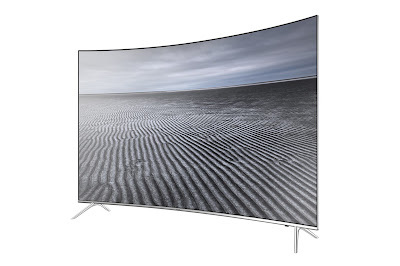 Additionally, to compliment it’s immersive cinematic experience, each purchase of the 78-inch KS9000 SUHD TV entitles you a free HW-K950 Atmossoundbar worth RM5,999. 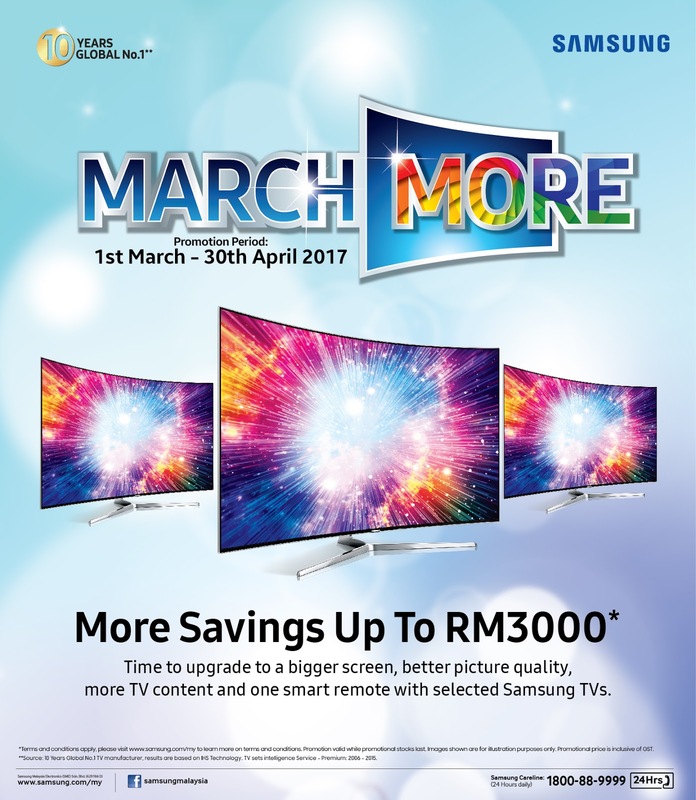 Don't miss out on the 'March More’ promotion and visit your nearest Samsung authorized retail outlet today to purchase.For more information on the ‘March More’ promotion, please visit http://www.samsung.com/my/offer/march-more/. stocks last. Promotion price is inclusive of GST.